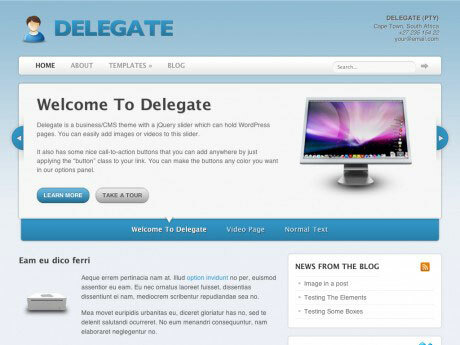 WooThemes.Com released their Delegate wordpress template on Janyary 2010. Delegate is a shiny and feature-packed business theme that should appeal to the funky companies out there. 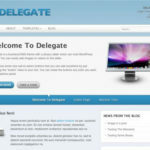 Packed with all the goodness of a proper WordPress business theme, Delegate will most definitely make the impact you need from it! 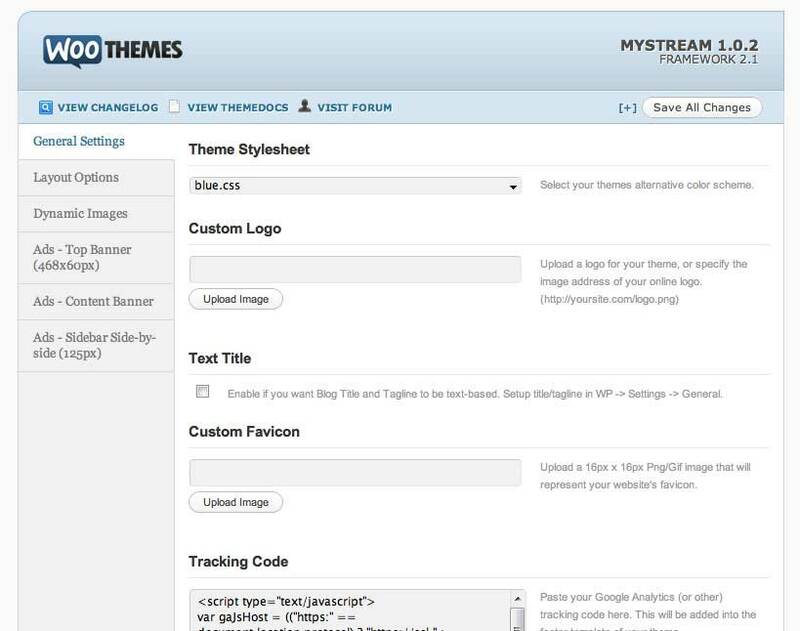 This theme is also available for Drupal and ExpressionEngine. Featured Slider: A custom home page featured area to showcase your work or products, with optional sub-featured area to give them more insight. 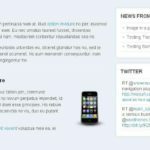 Custom Homepage: Custom homepage designed to emphasize your most important information, with the option to display a traditional blog instead. Custom Widgets: Custom Woo Widgets for use in the blog or page sidebar and in the widgetized footer: News, Twitter, Search , Ad space and Flickr widget. 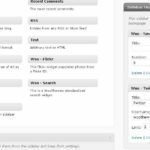 Alternative Styles: 19 delicious colour schemes to choose from, and possible to change color of links and buttons in options panel. Woo Custom Navigation: Newly released Woo Custom Navigation is included in this theme, allowing you full customization over how your navigation should be structured in the theme! 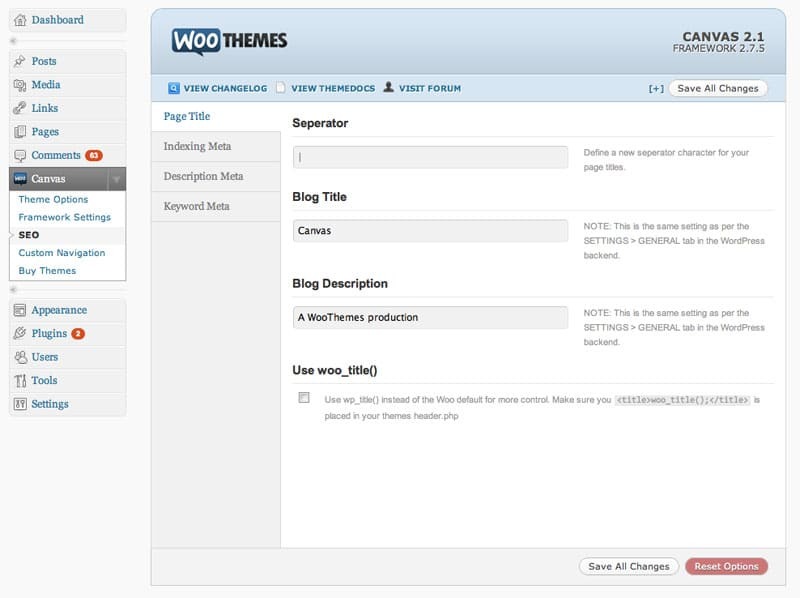 Built-in SEO options: All WooThemes now include SEO options to help propel your site’s search engine ranking. WooFramework2: The highly functional WooFramework2 with updated options panel. 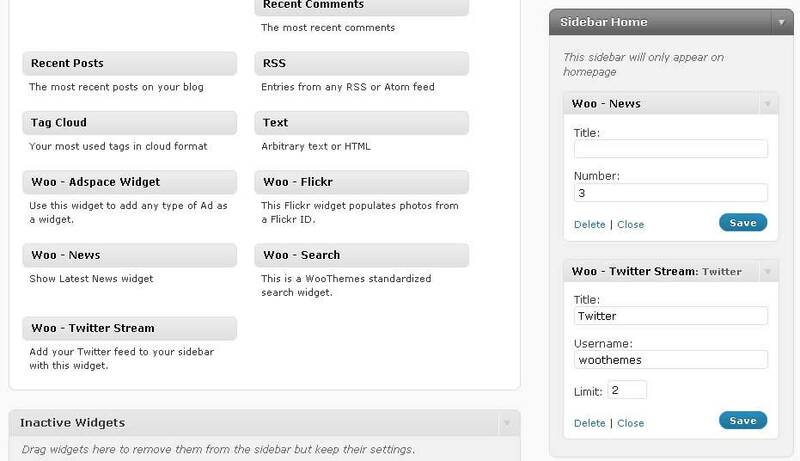 The most easy to use theme backend available! Backend Theme Options: Making simple changes without editing code, like adding your own logo, changing to an alternate colour style, adding Google Analytics code, couldn’t be easier with our WordPress backend theme option’s panel. Cross-browser Compatible: Tested themes to ensure they are compatible with all the popular web browsers like Firefox, Safari, Internet Explorer 8, 7 and even the not so popular 6! They should also all be web standards compliant. Auto-sizing Thumbnails: An image resizer script built into the Woo framework automatically scales your post images for pixel perfect display in our templates. No need to upload new cropped images when re-designing your website. 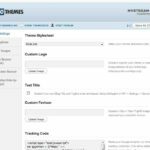 Custom Page Templates: WooThemes come packaged with a full width page template without the sidebar, and sitemap/archives page templates for efficient quick links to all the hidden posts you wrote ages ago that still deserve to be seen.